Goodyear will highlight its latest off-the-road (OTR) products and solutions for the construction machinery industry at the bauma trade fair this week in Munich, including the public debut of its recently launched OMNITRAC ranges of steer and drive tyres for mixed service trucks. The new tyres have been developed with optimal damage resistance and longer service life for vehicles operating in today’s mixed service applications where they face the difficult conditions of unpaved sites, but predominantly operate on roads. These include tippers, cement mixers, concrete pumps and low loaders operating in construction as well as trucks in the waste, recycling, timber and agricultural industries. Goodyear also announced a $36 million investment to increase OTR tyre production and fund process improvements at its manufacturing plant in Colmar-Berg, Luxembourg. 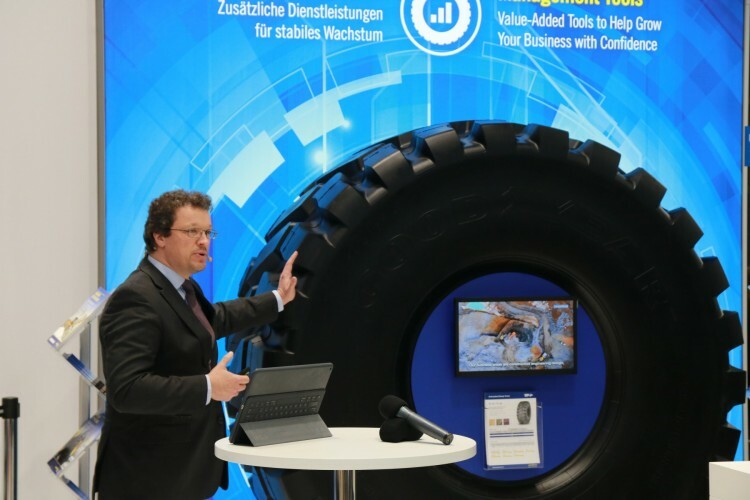 The Goodyear booth at bauma can be found on Stand 224 in Hall A6, where the company will additionally highlight its popular EMTrack OTR tyre performance monitoring system and the TL-4A OTR tyre for articulated dump trucks and scrapers.